The property comprises a modern well laid out and configured retail park currently amounting to approximately 35,079 sq ft in 4 units. There are 206 car parking spaces to the front providing a car parking ratio of 1:170 sq ft. The property was developed in 1996 incorporating one terrace with the main entrance to the north of the park and servicing to the rear. The units offer modern flexible accommodation with brickwork walls and glazed frontages. 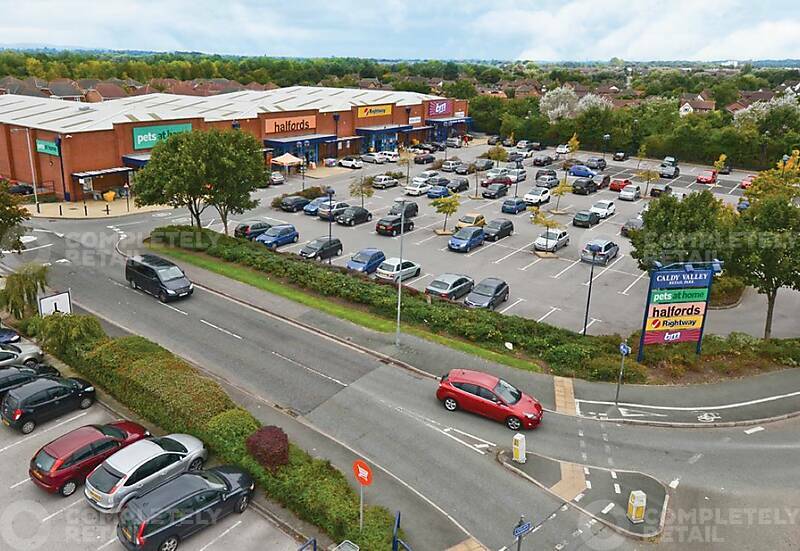 Caldy Valley Retail Park is well located adjacent to the A41 ring road in the Great Broughton area of the city, just under 3 miles to the east of the city centre. The Park benefits from its close proximity to the adjacent Sainsbury’s supermarket which comprises approximately 72,500 sq ft and is a major generator of shoppers to the area. The city of Chester is an important administrative and tourist centre to the North West. It is situated at the base of the Wirral Peninsula, 20 miles (32 km) to the south of Liverpool and 40 miles (64 km) south-west of Manchester. The city has excellent road communications lying adjacent to junction 12 of the M53, which in turn connects with the M56 and M6. The city is also easily reached by rail, with frequent train services running to and from Manchester, Liverpool, Birmingham and London.